Eligibility Criteria: Education qualification : graduation degree and good knowledge of English short hand having minimum speed of 100 word per minutes and English type writing having minimum speed of 40 word per minutes. Computer knowledge ie data entry, word processing, computer operation . Preference shall be given to candidate processing good knowledge of Hindi short hand and type writing with speed of 80 and 30 words per minutes . RESERVE CATEGORY candidates will get relaxation maximum age limit and posts . Difficulty of the questions be graduation level . There shall be no negative marking for wrong answer. Rs 500 and bank charges for Sc ,ST category . 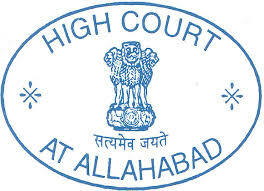 How to apply: all interested candidates can fill application form at the official website of Allahabad high Court In. Online registration process will be stated from 1 July 2016. Last date of application form submission is 14 July 2016. Exam dates will be updates here very soon.